USB interface charging, the lithium ion polymer battery is the world's most popular now (3.7V, 1200mAh), reciprocating charging and discharging, the faster charging speed, the longer discharge time, general charging 3-4 hours, the discharge time is about 3-7 hours. 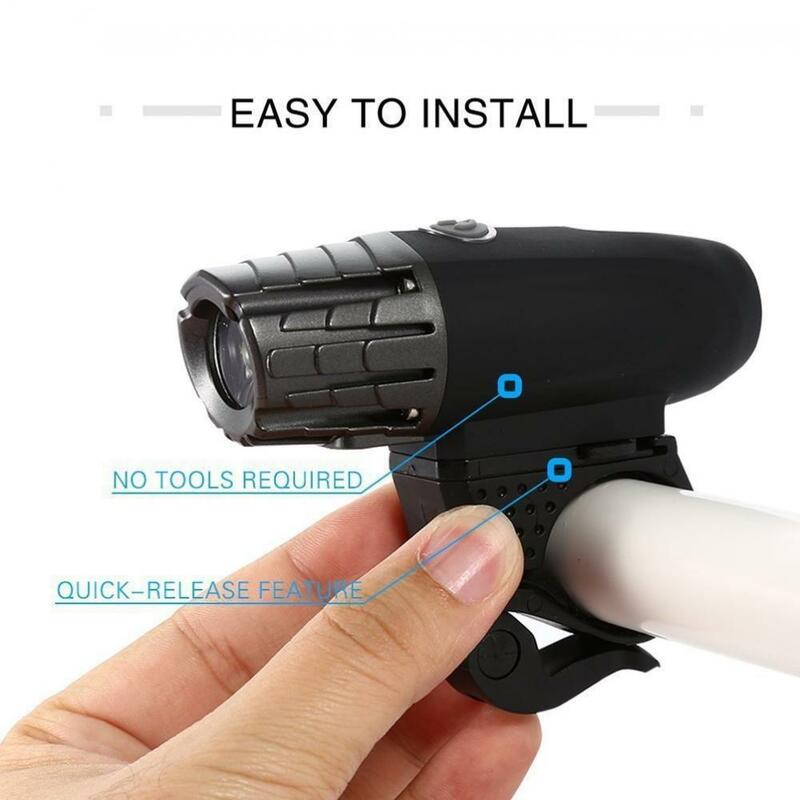 Quick dismounting lamp holder: the lamp holder nut is directly fixed on the lamp inside, don't worry, the manual knob type screw, without using any tools can direct disassembly, convenient for handlebar diameter: 20-31mm. Lamp holder quick disassembly and assembly: directly press along the concave guide rail of the lamp holder, it can be installed successfully; when dismounting, pinch the buckle on the right of the lamp holder; meanwhile, the lamp holder is pulled forward and can be removed successfully. - This product is new in shape, using the latest imported high-power highlight (about 2000lm) as the light source, highlighting the trend of fashion and technology. - High performance optics: the use of crystal acrylic transparent spotlight, light irradiation distance, night Viewing distance meters 30-50 meters, and fully protect your riding safety. 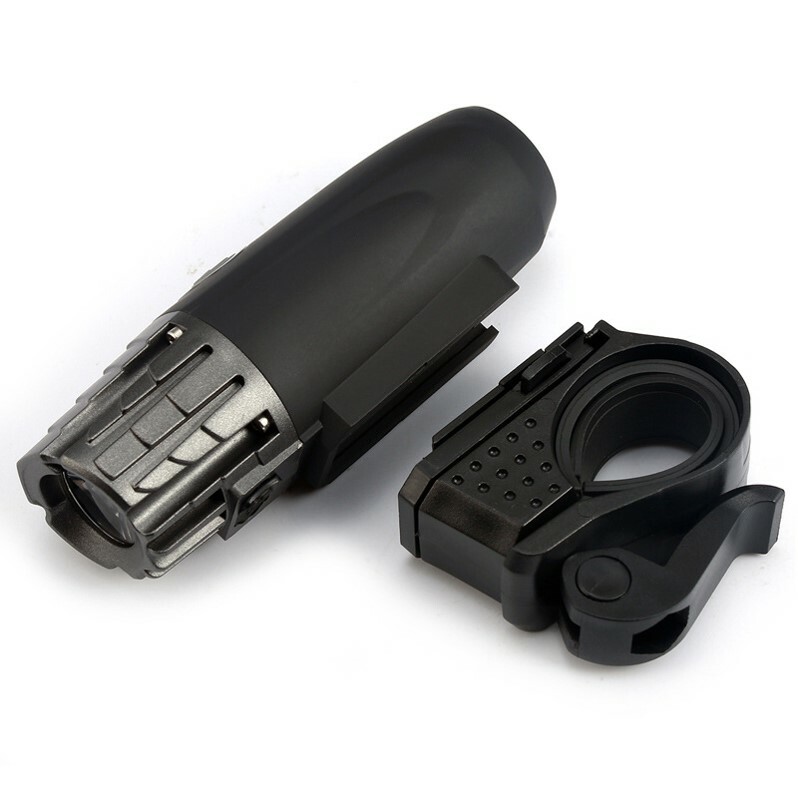 - Super waterproof, button switch and USB charging interface, covered with expansion rubber, safe riding in rainy days. 1.When the remaining power is less than 25%, the indicator light is red. 2.When the remaining power is above 25%, the indicator light does not appear. 3.When full of power, the indicator light is blue. Looking for ideal USB Rechargeable Bicycle Front Headlight Manufacturer & supplier ? We have a wide selection at great prices to help you get creative. All the USB Rechargeable LED Bike Front Headlight are quality guaranteed. 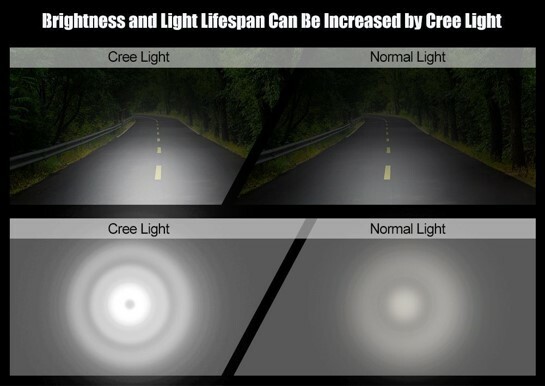 We are China Origin Factory of Rechargeable LED Bike Front Headlight. If you have any question, please feel free to contact us.